New York--1981; New Jersey--1984; United States District Courts: Southern District of New York--1981, Eastern District of New York--1981, District of New Jersey--1984. I have nearly 30 years experience in business transactional practice (involving business formations, mergers, acquisitions, dispositions, stockholder disputes and relations, commercial real estate transactions and leasing). In addition, I have experience in estate planning (particularly as it pertains to succession planning for closely held businesses and family limited partnerships/limited liability companies), taxation and health care law. I have represented diverse clients including computer service providers, outsource placement firms, Medicaid home care providers, doctors, accountants, farmers, Wall Street traders, manufacturers, a racetrack and a myriad of start-ups in varied fields. I am a past Chair of the New Jersey Supreme Court District V-B Ethics Committee, a former Chair of the Tax Committee of the Essex County Bar Association and a current Trustee of Harvard Law School Alumni Association of New Jersey. I have been listed in Best Lawyers in America* with respect to corporate and mergers and acquisitions law and in Super Lawyers*--The Top Attorneys in New Jersey with respect to closely held businesses. I am a former intercollegiate tennis player and hockey player at SUNY Binghamton, and continue to play competitive tennis, platform tennis and occasional pond hockey; I am also an avid skier. 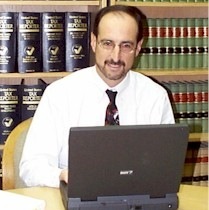 *For methodology see http://www.bestlawyers.com and http://www.superlawyers.com, respectively. No aspect of this advertisement has been approved by the Supreme Court of New Jersey.